We now have a new trainer in Whangarei which means we can now offer courses in Northland. Contact Kevin Mitchell using the contact details below to book your course today! Are you doing everything you can to keep yourself and your workers safe on the job? 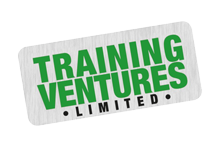 Training Ventures’ courses ensure that you and your staff work safer and smarter by bringing you up-to-date with the latest in industry compliance, skills and knowledge. Tailor made courses to suit your requirements. Clients include Department of Conservation, Wellington Regional Council, Northpower, Scanpower, Comvita Bee-keepers, Muriwai Surf Club, Brooklyn’s Farm, Wellington Rural Fire, New Zealand Police Dive Squad, Wellington City Council, Wairarapa Treescape, Craggy Range Vineyard, Kiwi Lumber. For more information on these courses, please visit our Vehicle and Machinery Training page. Clients include Strength Nation Gym, Avanti Masterton, Café Entice, Clareville Bakery, Pro Logo, Taylors Pool Service, Taylors Electrical, G T Environmental Services, Wairarapa Electrical and Refrigeration. Our financial courses are for any person located in the Wairarapa 18 years and older. Alternatively, you can visit our contact page for a full list of contact details.